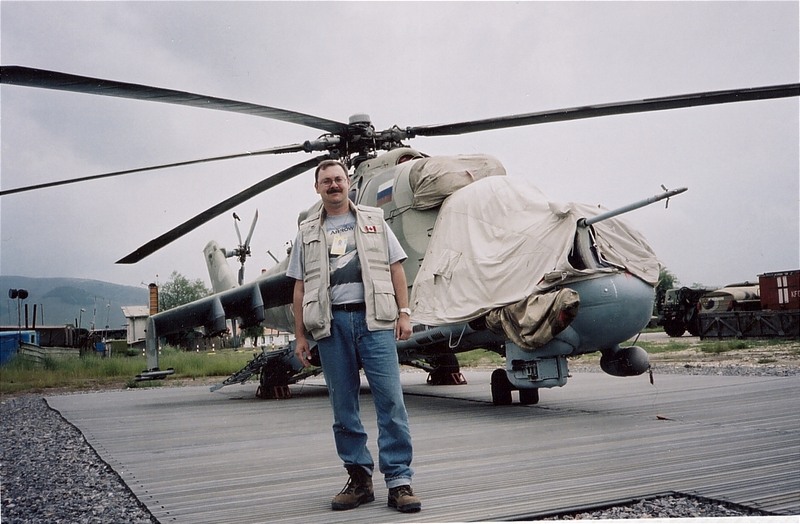 Above: Dr. Maloney drinks vodka with the Russian Mi-24 HIND contingent and gets a tour. 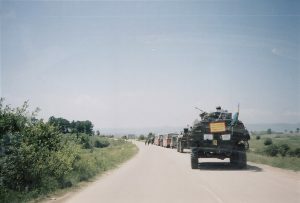 The ‘Rock Run'”: KFOR escorting Kosovar Serb buses through Kosovar Albanian neighbourhoods. One was previously destroyed by a road side bomb with lethal effects. I served as the historian for 4 Canadian Mechanized Brigade, our Cold War NATO commitment in Germany. The last part of that project was a chapter dealing with the first Balkans commitments, which came from our brigade: the European Community Monitor Mission, a non-UN observer mission, and then UNPROFOR I in Croatia. I got out and pursued a PhD but then went back to the Balkans in 1995 to research a book, Chances for Peace: Canadian Soldiers in the Balkans. From there I got a SSHRC post-doctoral grant and Ron Haycock recommended I do it at RMC. Out of that came the book, Canada and UN Peacekeeping: Cold War by Other Means, which was the first history published on Canadian peacekeeping. While that was in progress, the Kosovo situation moved into international news. 10966 MGen Mike Maisonneuve was preparing to deploy with the newly-formed Kosovo Verification Mission, an organization that had tasks similar to the European Community Monitor Mission. I had just completed a short history of Canada’s involvement with the ECMM and Mike used it as lessons learned for KVM. The KVM had the dangerous task of maintaining an international community conscience while the Milosevic regime conducted operations against the Kosovar Albanian population and the armed groups that emerged to challenge the regime. I was preparing to head over to observe KVM operations to write a history of them when the mission was pulled and the NATO bombing campaign started. That was exactly twenty years ago! 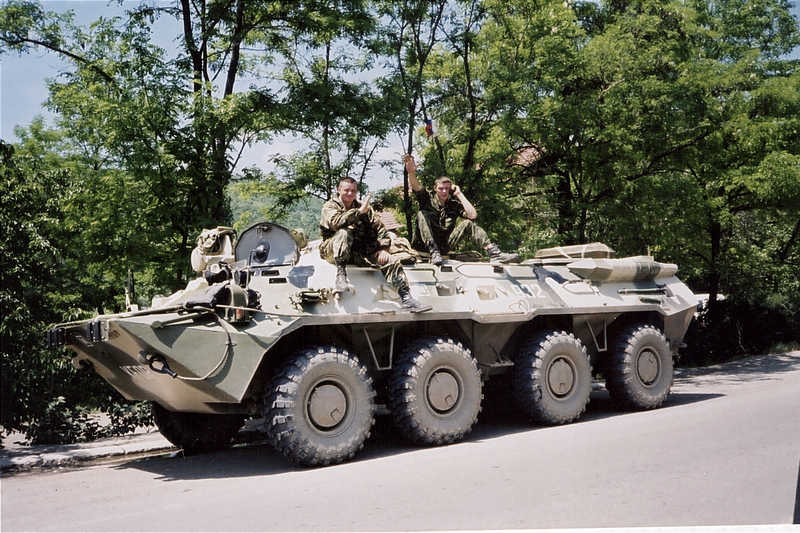 Russian troops guarding the road near Mitrovica. They were happy to not be in Chechnya. Every night the number of refugees pouring into neighbouring countries was on the news. It was similar to what we saw with Syrian refugees in the past few years. The ethnic cleansing was destabilizing the region not to mention it threatened everything Canada and her allies had done to stabilize Bosnia. The shift in operations and the type of missions was significant. This was going to be a forcible entry into Kosovo to defeat the Serbian security forces. 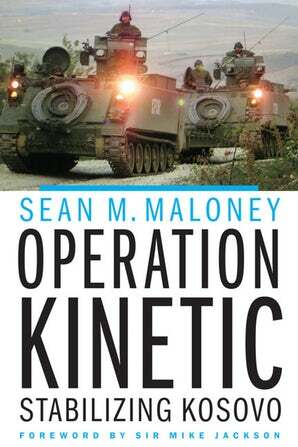 I had been to conflict zones before, I had Balkans experience specifically, I was young and didn’t care about risk, so I received support from DND to research and write a history of what became called Operation KINETIC. After the KVM was withdrawn, there was a NATO force build up in Macedonia. 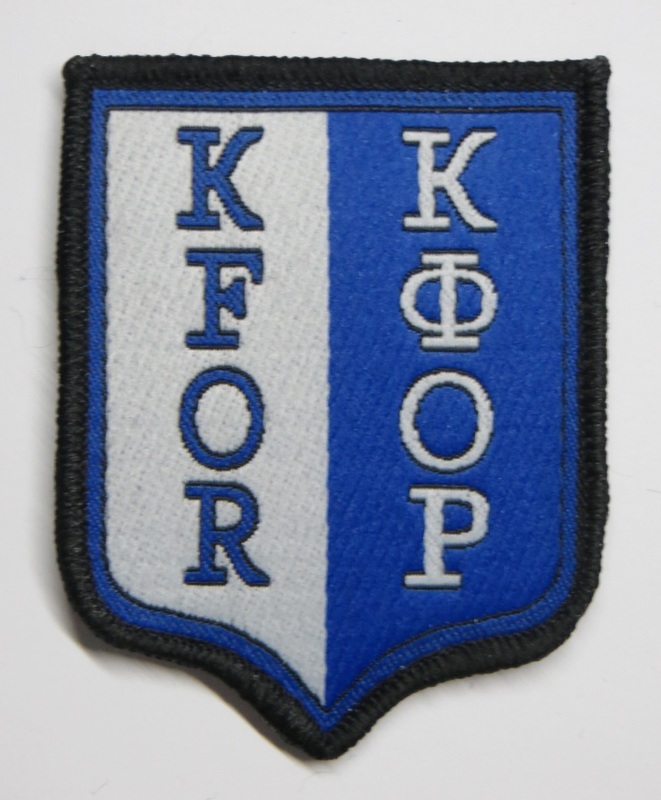 This was Kosovo Force (KFOR). When the Milosevic regime caved in, KFOR down-shifted into a stabilization operation and entered the province. I didn’t get in with the first wave, but during that time our troops rebuilt houses and refugees were returned home later in 1999. 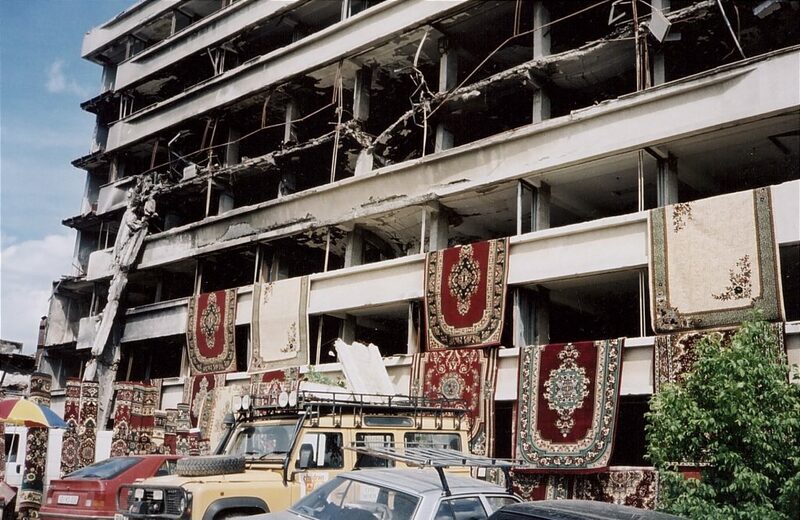 The former secret police headquarters and torture chamber destroyed by a smart bomb and now a carpet sales location. When I got on the ground, the situation changed again. KFOR was actively suppressing extremist activity from both sides. An organization we knew very little about at the time was trying to recruit teenage Kosovar Albanians: it was called Al Qaeda. They were not liked by the Kosovar Albanians, especially by the mothers. A civilian bus full of Serbian Albanians was blown up and the passengers killed by what the Brits called a ‘Roadside Bomb’, what we later called an IED in Afghanistan. The Special Air Service mounted nighttime raids against groups involved in these activities. In the Serbian areas, I met young, fit men with cropped hair who were from….Croatia! They had been driven out by the Croats in 1995 from the Canadian-held UN zone during Operation STORM and resettled in northern Kosovo. We had many interesting conversations over slivo about what they were up to. Fortunately for everyone involved their plans came to naught. It was a very interesting time. The book I just published, “Operation KINETIC: Stabilizing Kosovo,” was supposed to come out much earlier. The 9-11 attacks took place while I was completing it and publishers were not interested in Balkans material. I wound up deeply involved in Afghanistan for the next 16 years and served as the Canadian Army’s historian for the war. With the shift of emphasis back to Eastern Europe, and particularly Russia’s use of the Kosovo intervention as justification to invade Ukraine, it is crucial that what happened in Kosovo, what we did, and why we did it be made available not only to recognize what our Canadians did, but to provide a counterpoint in the heated debate of today. This was a successful mission from a Canadian perspective and it should be remembered as such, and the simplistic and negative propaganda memes spread by those who seek to discredit our activities should not predominate. What is interesting is how the Kosovo operations were ignored by our enemies during the Al Qaeda War. The concept that a coalition of multi-ethnic Western countries protected a Muslim population from white nationalist Christians didn’t fit the Al Qaeda narrative as they sought to trigger a religious war with us. Indeed, it refuted the narrative. Similarly, when a variety of interests stoke fear or otherwise self-flagellate about so-called ‘white supremacy’ and ‘Islamophobia’ in the West, especially in the wake of Christchurch, we have the ability to refute these assertions. Our operations in Kosovo put the lie to a variety of extremist arguments and thus they are inconvenient truths for many who labour to generate division. Therefore our involvement in Kosovo need to be celebrated, not discarded and buried. Branch News: Toronto Branch AGM Coming Up and More!